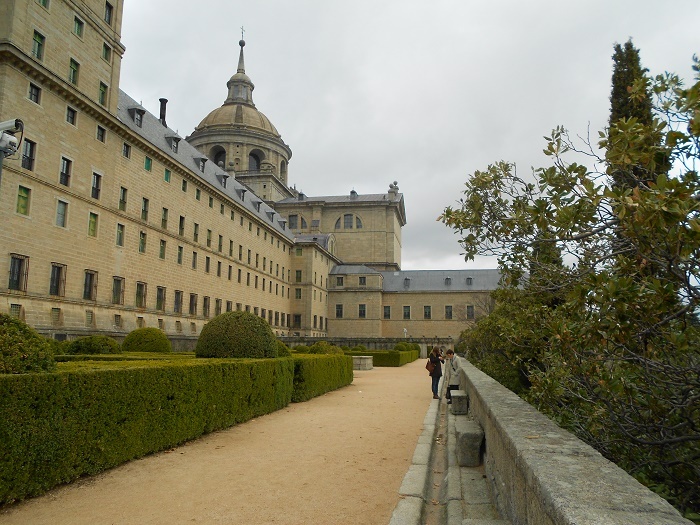 El Escorial is the commonly used name for the Royal Site of San Lorenzo de El Escorial, which is a historical residence of the King of Spain, located in the town of San Lorenzo de El Escorial, in the Kingdom of Spain. 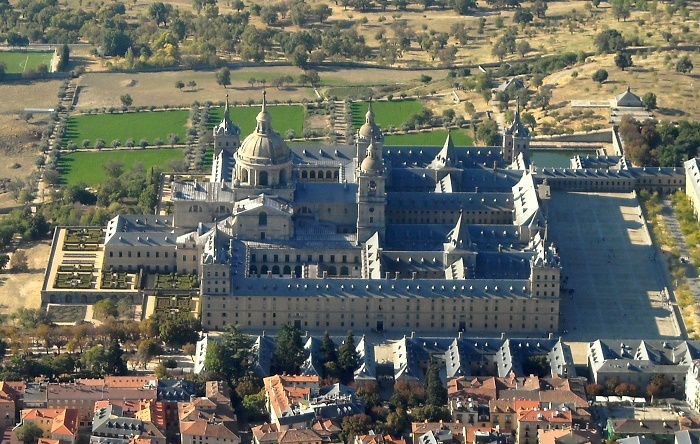 This vast building complex is in the vicinity of the capital city of Madrid, in central Spain, and the building is one of the most important architectural monuments of the Spanish Renaissance period in the country. 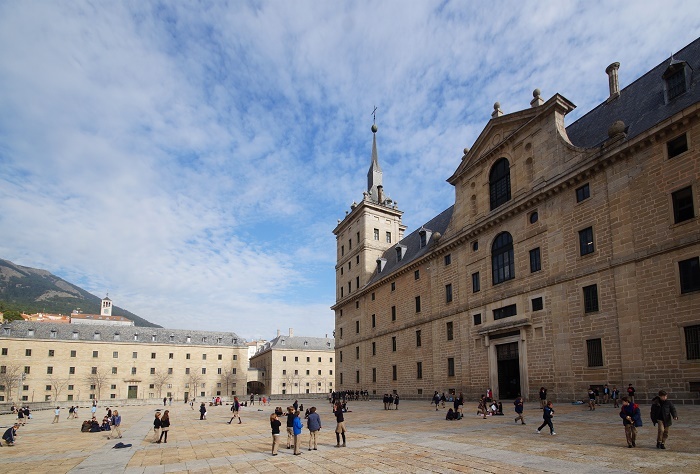 Within the building complex, besides being one of the Spanish royal sites, there are a monastery, basilica, royal palace, pantheon, library, museum, university and even hospital. 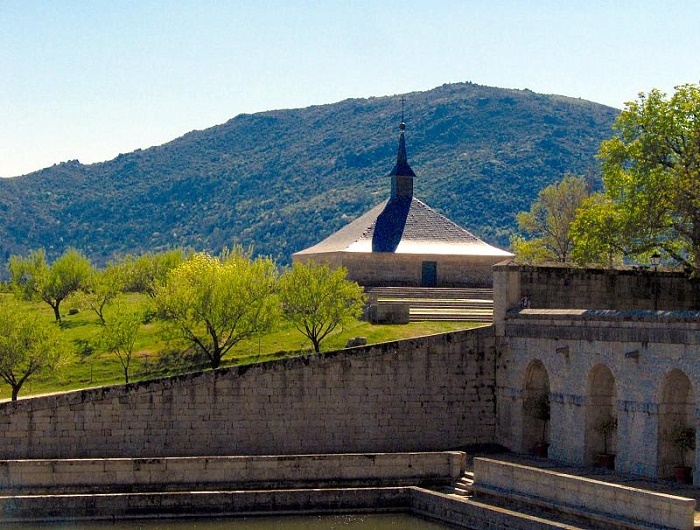 That is why the complex is divided into two architectural complexes of great historical and cultural significance, and those are the royal monastery itself and La Granjilla de La Fresneda, a royal hunting lodge and monastic retreat about 5 km (3 mi) away. 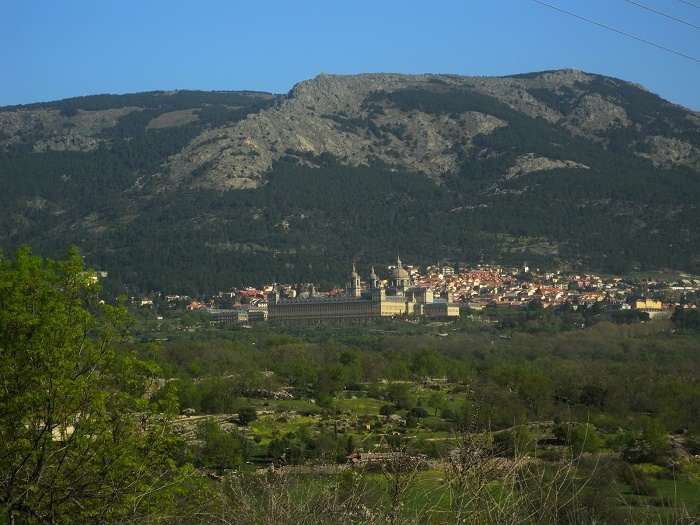 The project was conceived by King Philip II so that the building would serve the multiple purposes of a burial place for his father, the Holy Roman Emperor Charles V, a Hieronymite monastery, and a palace. 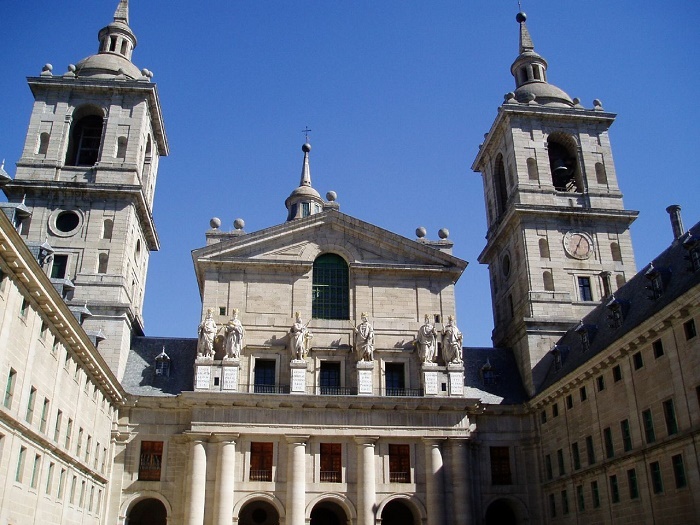 The construction was carried out between 1563 and 1584, where the architect Juan Bautista de Toledo designed this complex, yet simple ground plan on a gridiron scheme, recalling the grill on which San Lorenzo, the patron of the building, was martyred. 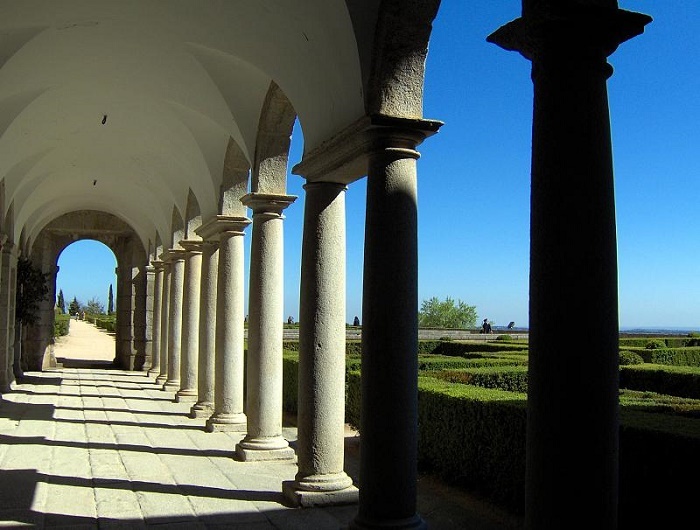 Nevertheless, Toledo passed away before the completion of the royal complex, so Juan de Herrera took over the project, and even though he was influenced by the styles of Sebastiano Serlio and Giacomo Barozzi da Vignola, the final product was uniquely and quite attractively Spanish. 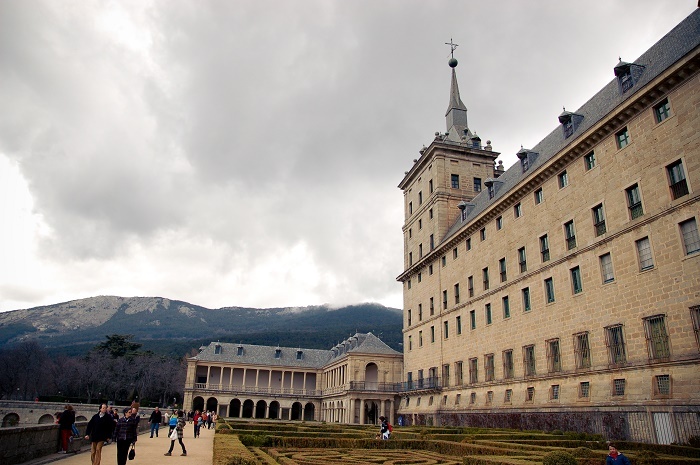 There are four main floors that comprise the buildings, and there are also large towers at each corner. In addition, there is the Courtyard of the Kings, the Palace of Philip II which is situated next to the main altar of the Basilica, and it is made up of a series of austerely decorated rooms. 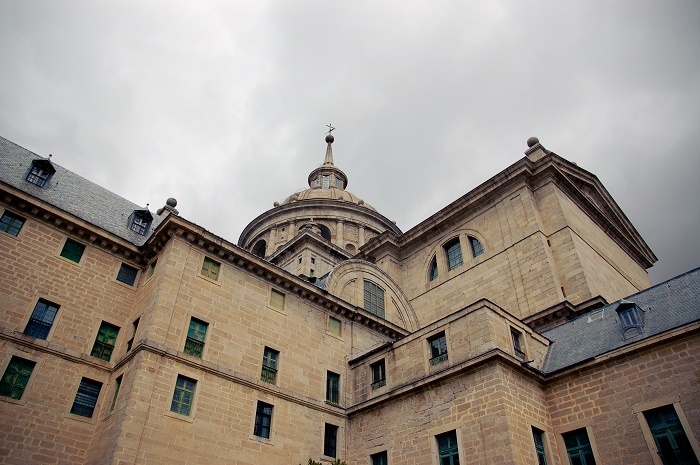 Furthermore, the Hall of Battles, where fresco paintings depict the most important Spanish military victories, among which is the victory over the Moors, the Pantheon of the Kings that consists of 26 marble sepulchers containing the remains of the kings and queens, the Pantheon of the Princes, which was completed in 1888 making it the final resting place of princes, princesses and consorts other than the parents of monarchs. 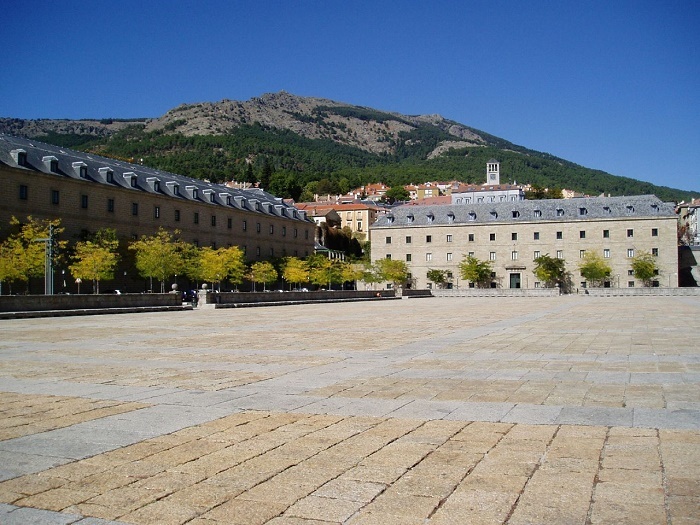 There are also the Art Gallery, Architectural Museum, Gardens of the Friars that were constructed under the order of King Philip II, who as a matter in fact was a great lover of nature, and in the end the Library that contains the personal collection of documents of King Philip II who donated them. 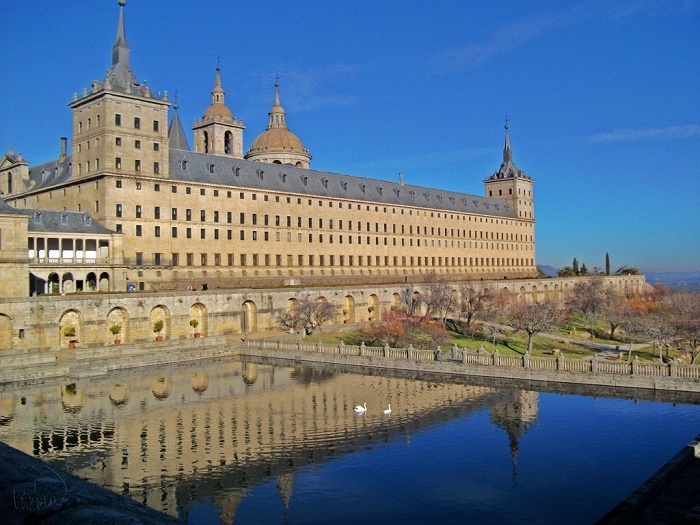 Nowadays, this important historic monument is inscribed on the UNESCO World Heritage List, something that happened in 1984, and the attention to all those who were already visiting Madrid, became more and more focused to this alluring architectural marvel. The interior of the building is something that really should be seen in person, as it was decorated by many notable Spanish and Italian artists from 16th and 17th centuries, and also it should be mentioned that nowhere else in Renaissance art, the architecture, painting and sculpture are mixed together in a composition of such unified splendor in which every detail appears as a necessary part of the whole.